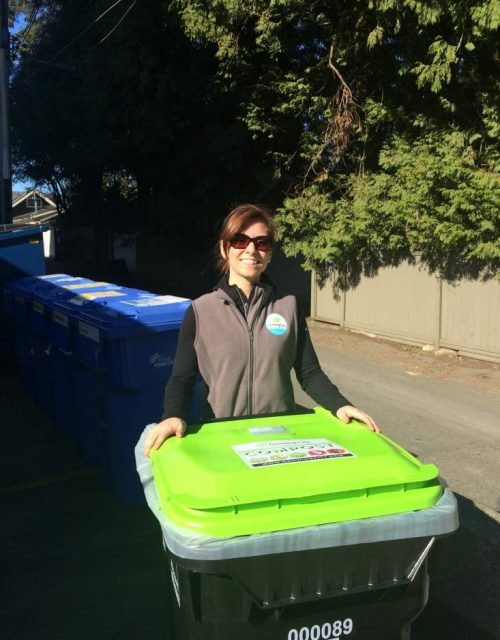 Growing City & Hollyburn – Together We Compost! The way we manage our waste is changing. On January 1st 2015, Metro Vancouver launched their much anticipated Organics Disposal Ban which essentially bans organic materials from entering the region’s landfills. This initiative was brought on in order to tackle the growing environmental problems faced by the disposal of food scraps in landfill environments. The disposal ban will be implemented in 4 phases, the first two being an educational period, spanning from January 2015 to June 2015, followed by the slow enforcement stage (July –December 2015) where fines will start being charged to waste haulers and their clients for banned materials that are taken to landfill. Growing City was very excited to be the chosen organics recycling supplier to support Hollyburn Properties in their ongoing Sustainable Green Living initiatives. 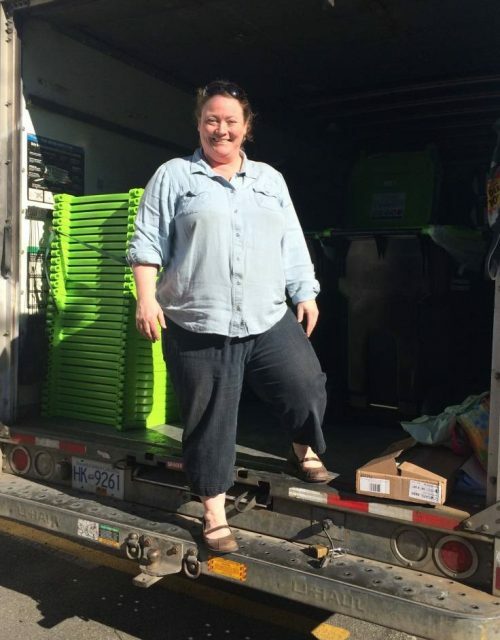 On Saturday February 28th 2015, the Growing City team was hard at work deploying complimentary organics recycling totes for all Hollyburn rental apartment buildings in Vancouver. Following tote deployment, the Growing City team visited all 43 Hollyburn Properties for evening Lobby Presentations where the building residents were invited to come down, engage and ask questions about the new organics program. During these sessions, many great questions came up and sparked very interesting discussions. Here are our top 5! What can be accepted in the bin? – The list goes on and on and on…! 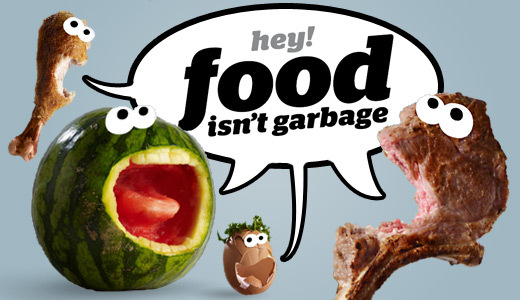 What can we wrap those food scraps in? 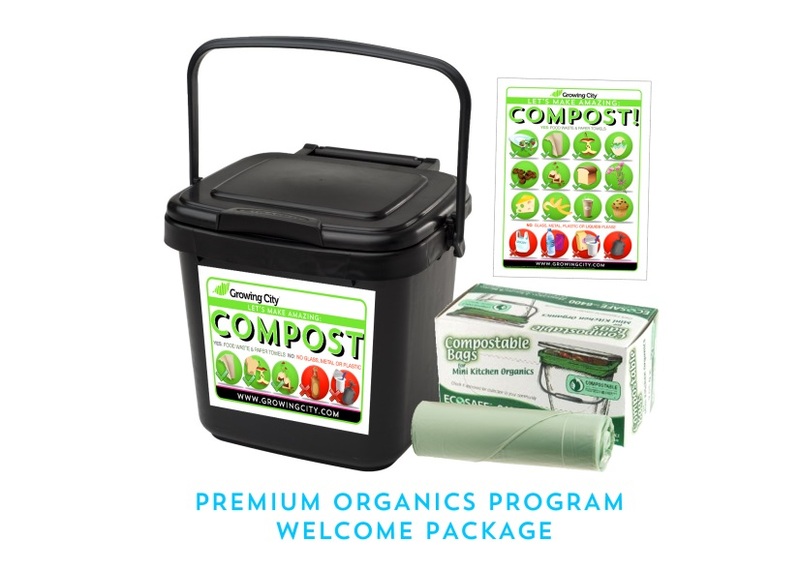 We provided all Hollyburn residents with a starter kit to recycle their food scraps and, in that kit, we gave them a box of compostable liners. These liners are made out of 100% natural materials (mainly corn) and will fully breakdown in the compost pile! Another great material to wrap your food waste in is newspaper! The high carbon content in newspaper helps absorb any odors coming from some of the items that get composted. It’s also paper therefore perfectly compostable! What about rodents and pests? Questions and concerns about rodents and pests are very common when it comes to composting however; very few of our clients have had any problems with them thus far! The reason for this is that we clean our bins at each service and we also line them with compostable bags to keep them clean and fresh. So, no pests or rodents are attracted by them at all. Where do the materials get taken? This is where we get to give a big shout out to Enviro Smart Organics. We have been working with these guys since we first started Growing City and they have been a great support to us. They are also one of two Metro Vancouver Approved facilities for organics recycling. You can visit their website to find locations where their products are sold. Thanks for reading and happy composting!